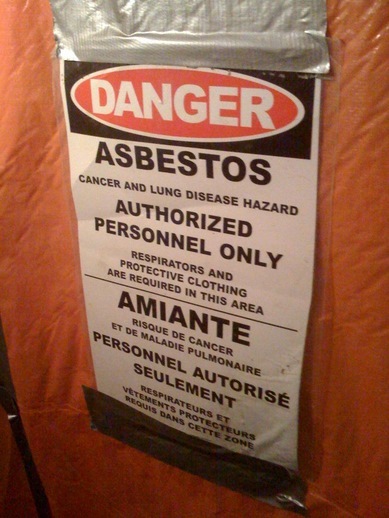 They take that asbestos stuff seriously. This was our basement door yesterday. Today, it’s the cleanest basement in the universe. I think it’s safe to say the basement will never again be as clean as it is right now.